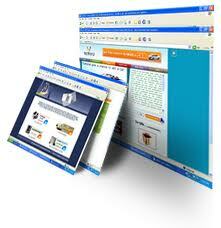 Your website is often the first impression that your company will make with potential customers. It is, therefore, extremely important that you invest the appropriate time, energy, and resources into building a web site that effectively - and memorably - presents your company's image. At Benisch eMarketing, we can help you build a site that not only provides potential customers, consumers, or clients with important information about your products and services, but one that also conveys who you are and how you stand apart from the competition. Whether you need a site built from scratch or want to update an existing website, we can help you reach more customers and generate more quality leads. All of our websites and pages are "search-engine friendly" and are designed according to proven SEO strategies.